Dill tea is the perfect herbal tea to deal with your digestion problems. Meet a great little herb that you are likely to have come across while cooking in your kitchen and probably have never given a thought to the benefits of dill as a healing tea. This is your chance to learn more about this herb and to make it a part of your medicine cabinet as well as a permanent fixture in your pantry. Come and have a cup of dill herbal tea and soothe your troubles away! Dill (anethum graveolens, in Latin) is an annual aromatic herb that originally came from the Mediterranean and southern Russia regions. The word "dill" is thought to come from an old Anglo-Saxon word meaning "to soothe", but the Latin name for the plant genus anethum actually comes from the Greek, meaning strong smelling. It is from the same plant family as carrot and fennel and the seeds even look the same, however, they have a different, spicier taste. You will also find that dill has a lot of the same benefits as fennel. This little shrub can grow anywhere from 30cm to 1m (12-40 in) in height. It has slender little stems with alternate leaves that are very fine and delicately soft. The flowers are white or yellow with little seeds that are 4–5 mm (0.16–0.20 in) long and 1 mm (0.039 in) thick. If you have dill in your herb garden, expose it to plenty of sunlight and nice warm weather. Place the seeds in rich soil and your dill plant will live for up to 10 years! Both fresh or dried leaves and seeds have medicinal powers, but the highest amount of healthy components resides in seeds. They also have a more intense and spicy flavor. As a culinary herb, dill has been around for the longest time and been used all over the world. From ancient Egyptians to the Middle Ages, dill was used as a spice, as a herbal remedy and finally to repel witches! Today, dill is still very much loved. All over the world, dishes are being prepared and seasoned with this herb, from Germany to Norway, from Russia to Laos and many other countries in between. From breads to stews, salads and sauces, dill is a constant presence. And let’s not forget, dill tea is still enjoyed by many for its spicy flavor and wonderful health benefits. Dill is a rich pool of components that your body can drink from. Seeds, the richest part of the plant, contain volatile oils, flavonoids, coumarin and triterpenes. Adding to that, the plant contains many proteins, fibers and carbohydrates, minerals like calcium, iron, magnesium, manganese, phosphorus, potassium, zinc and copper, and vitamins A, C, B complex. With such richness, dill herbal tea can help you in many ways. Dill infusions improve the whole digestion process; from the moment food enters your mouth, until unwanted waste leaves your body. To begin with, this herbal tea soothes your stomach and brings relief to gastric heartburn and acid indigestion, by stimulating the bile and digestive juices that make you digest your food quicker, leaving your stomach feeling a whole lot better. It relieves hiccups that are the result of hypersensitivity and nervous malfunctioning in the stomach that forces gas up the windpipe. Dill tea helps by reducing gas and relaxing your stomach muscles. Digesting food properly is the key to properly functioning intestines. With dill herbal tea as your ally, you will be able to reduce the horrible bloating sensation and gas that inevitably lead to flatulence. This is a good tea to take preventively, but also when you already feel sick and need to deal with bacteria and microbes that have caused colic or diarrhea. If you have dysentery, drinking dill tea will fight the fungal infection in your intestines and make you feel better. Dill herbal tea helps you reduce intestinal cramps that are so painful that can simply ruin your day and all you can think is getting to bed hoping it will go away. This tea can aid your baby or child in the same way that it helps you. A warm (not hot) cup of tea can bring relief to baby colic, easing the little one’s pain and letting everyone get some much needed rest. It is also great for indigestion and other digestive problems in children. Blend with chamomile for a milder flavor. This calming herbal tea will also help soothe the child’s nerves. Bad breath is a sign that something may be wrong with your mouth or deeper in your digestive system. So dill tea is the perfect tea if you have this unfortunate symptom. It is great to regulate your digestive function, as we have seen, but, it also promotes good oral health by destroying any bacteria that may be lingering in your teeth and tongue. As a good source of calcium, it helps your teeth and bones to get stronger. At the same time, a dill infusion has antioxidants that fight infections in your gums and teeth. And leaves you with a feeling of freshness. If you are feeling stressed and annoyed, don’t throw your computer out the window just yet. Dill herbal tea may be the thing you need to get your thoughts back in order and deal with what is bothering you. Dill herbal tea has flavonoids and vitamin B-complex that help enzymes and hormones to actively calm you down. This is great if you are suffering from insomnia and need a good sleep. 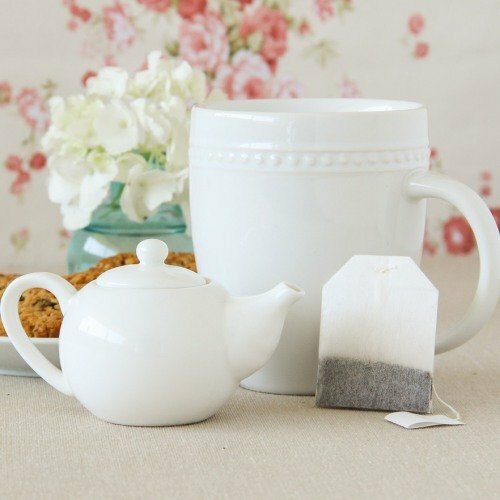 This tea helps you deal with the symptoms of anxiety and anger. It aids in regulating your heart rate, keeps you hydrated and reduces the pain of headaches. So if you feel depressed, take a cup of this tea to both relax and build your strength. Remember, you deserve to feel well! Sedative does not mean sedated. It may just mean calm and able to deal with pressure and stress. This is why this tea may be great to give to children with ADHD. Calmer, they may be able to concentrate. If you've run out of cold medication or you are simply trying a more natural approach to health, then head to the kitchen and brew a cup of dill tea. This herbal tea offers the relief you so badly need: first, it clears your congestion, letting you breathe better; then, it relieves your sore throat treating your bad coughs. 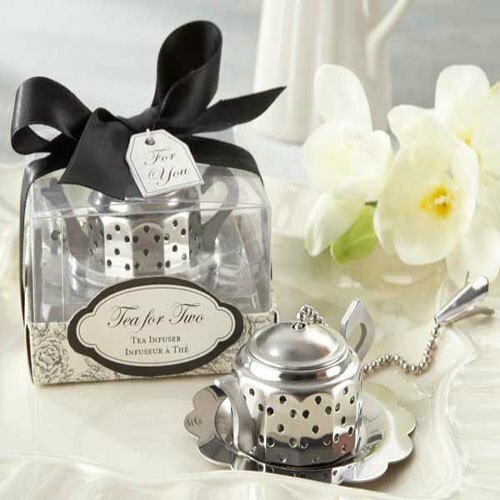 And, let’s face it, a warm cup of tea always lifts the spirits. It’s great to take for both cold and flu symptoms, but it can also offer help when you are just suffering the ill effects of allergies. A dill infusion helps to regulate your menstrual cycles and in doing this, it helps to bring on periods when they are late. The other great benefit of dill tea in this area is that it helps to relieve menstrual pain. It soothes the muscles of your uterus and reduces the levels of stress that lead to painful cramps. So take a cup of tea, sit back and let nature take its course. When you suffer the symptoms of premature menopause, this is a sign of hormone imbalance, so taking dill can help you in this area, offering much needed relief. Dill herbal tea is said to stimulate lactation, which can be of immense benefit if your baby just isn’t getting enough of the milk he needs. Check with your child’s doctor, first, just to make sure there is no risk of an allergic reaction. Another way, this herbal tea can help you, is as an aphrodisiac. Drinking dill tea has long been believed to increase your libido, whether you are a man or a woman. With increased potency, also comes increased fertility. Rich in antioxidants, this tea helps you in the fight against the harmful free radicals that lead to cell damage and cancer. It helps to reduce your bad cholesterol levels resulting in a healthier heart. If you suffer from diabetes, make sure to add dill tea to your diet with the approval of your doctor. This herbal tea can help lower your blood sugar levels thus regulating your insulin levels. 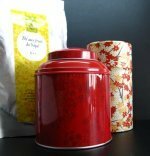 Applied topically, this tea can help to disinfect wounds, acting as an anti-septic. Helps to treat and heal boils, to alleviate pain and swelling in joints. Finally, dill tea has a diuretic action that relieves you of many ailments by removing toxic substances from your body. Although dill tea is considered quite safe, both as a food and as a medicinal tea, even for children, there are a few bits of information that you need to be aware of. When using this tea to disinfect your skin, be sure to look out for any signs of skin irritation and dermatitis. This is very rare, but if you are allergic to dill tea, it will cause your skin to be dangerously sensitive to sunlight, putting you at greater risk of sunburn and skin cancer. Another sign that you may be prone to an allergic reaction while taking dill tea is a previous bad reaction to other plants of the same family, the carrot family, such as caraway, celery, coriander, and fennel. Dill is only considered unsafe for you while pregnant or breastfeeding when you take it in medicinal amounts. Regular eating doses are ok, but higher amounts may cause uterine contractions and miscarriage. After all, one of the great benefits of dill tea is to bring on your period, the one thing you do not want to occur during pregnancy. And there haven’t been enough studies to confirm safety of this tea while breastfeeding, even though it is believed to increase lactation. This is a good remedy to have at home for your children, but use your common sense. Adapt the amount of tea used to weight of your child. And check with the pediatrician before giving this tea to your baby. If you are taking lithium, best not to take dill tea. It may interfere with your body’s ability to get rid of lithium resulting in much more serious side effects, so talk to your doctor before taking this tea. Before you can enjoy the perfect cup of dill tea, you have to brew it. So let’s learn how to make dill tea. You can use either dill seeds or leaves, but since seeds tend to be richer in the components you need, here is the tea recipe for using seeds. Start by putting the kettle on and boiling water for your tea. Get your tea pot and place inside 2 teaspoons of mashed dill seeds per cup of tea. Pour boiling water into the teapot and let the seeds steep for 10 minutes, turning the tea into a nice yellow color. Now that your tea is ready, filter the seeds and drink. Take only up to 3 cups a day, preferably after meals to help the digestive juices to flow. This is a tea that is sweet and cool, with a pungent sharp taste. If you are using this tea as a sedative and wish for a milder tea, then try blending dill and chamomile tea for a soothing and calming tea. Buy Your Dill Tea Today! Click on the image or on the links below to purchase from Starwest Botanicals your Organic Dill Seeds. Why should you have to go throught another day feeling bloated and ill? 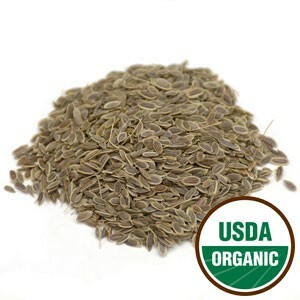 Brew a cup of organic dill seed tea and enjoy a pleasant drink.